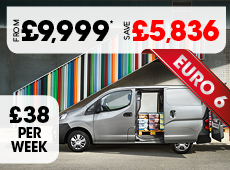 Invest in one of the UK's most popular medium sized vans for your business​. It offers a range of specialist and practical solutions to help you in your day-to-day life. The Business+ model comes with the load through bulkhead as standard which means that your Trafic will be able to transport items up to 4.15m in length by continuing under the passenger bench. The 5.2m³​ load volume allows you to carry up to three Euro pallets. Loading them on will be easy with a sliding nearside door and 180°​ rear doors. THE TRAFIC BUSINESS PLUS VAN IS AVAILABLE FROM ONLY £259 PER MONTH. THAT IS JUST £60 PER WEEK!